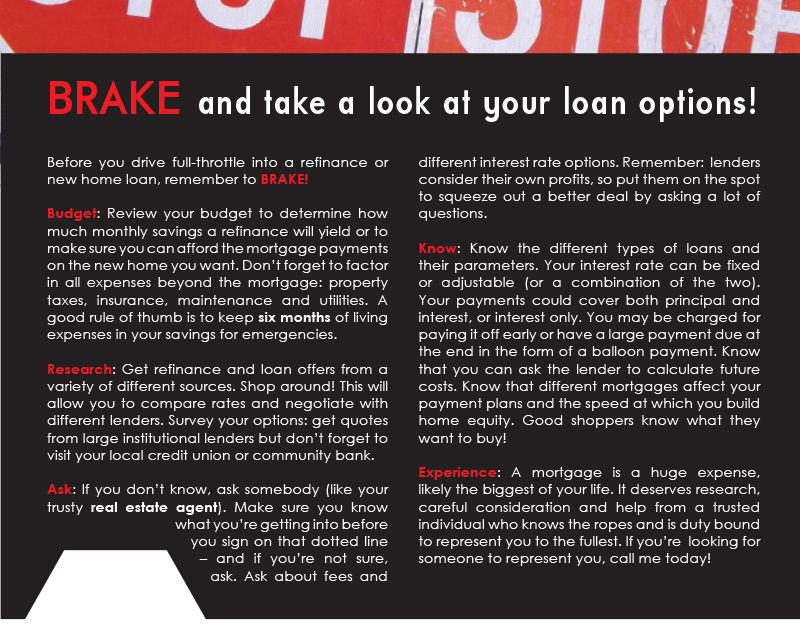 FARM: BRAKE and take a look at your loan options! 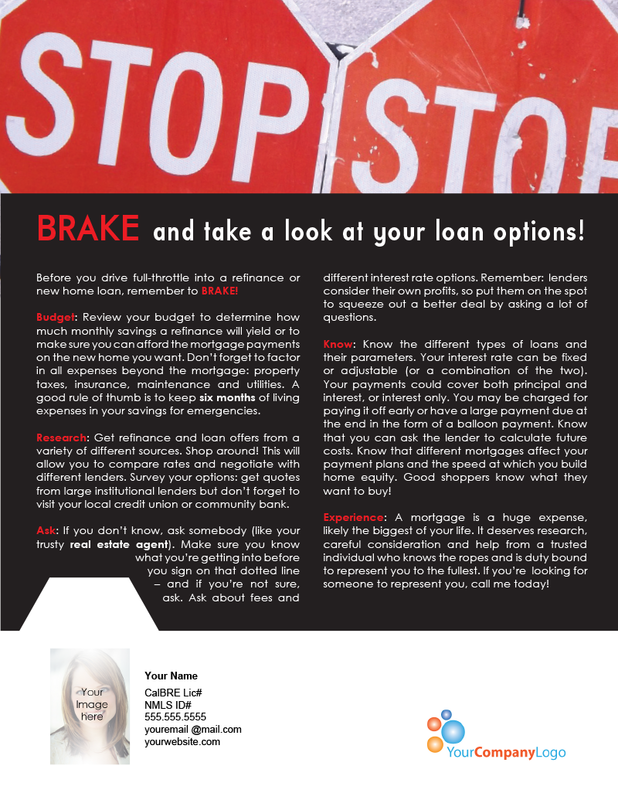 Before you drive full-throttle into a refinance or new home loan, remember to BRAKE! Budget: Review your budget to determine how much monthly savings a refinance will yield or to make sure you can afford the mortgage payments on the new home you want. Don’t forget to factor in all expenses beyond the mortgage: property taxes, insurance, maintenance and utilities. A good rule of thumb is to keep six months of living expenses in your savings for emergencies. Research: Get refinance and loan offers from a variety of different sources. Shop around! This will allow you to compare rates and negotiate with different lenders. Survey your options: get quotes from large institutional lenders but don’t forget to visit your local credit union or community bank. Ask: If you don’t know, ask somebody (like your trusty real estate agent). Make sure you know what you’re getting into before you sign on that dotted line – and if you’re not sure, ask. Ask about fees and different interest rate options. Remember: lenders consider their own profits, so put them on the spot to squeeze out a better deal by asking a lot of questions. 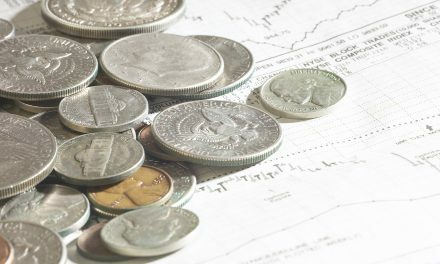 Know: Know the different types of loans and their parameters. Your interest rate can be fixed or adjustable (or a combination of the two). Your payments could cover both principal and interest, or interest only. You may be charged for paying it off early or have a large payment due at the end in the form of a balloon payment. Know that you can ask the lender to calculate future costs. Know that different mortgages affect your payment plans and the speed at which you build home equity. Good shoppers know what they want to buy! Experience: A mortgage is a huge expense, likely the biggest of your life. It deserves research, careful consideration and help from a trusted individual who knows the ropes and is duty bound to represent you to the fullest. If you’re looking for someone to represent you, call me today! May an owner dismiss a bankruptcy filing and file a second bankruptcy in order to postpone foreclosure?